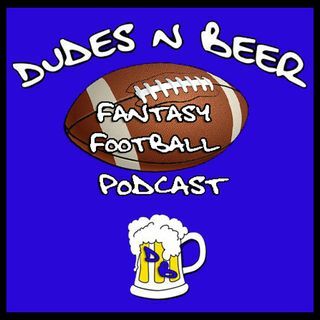 In this episode of the Dudes and Beer Fantasy Football Podcast, host Matt McPeek recaps a handful of drafts he’d been a part of throughout the busiest week in Fantasy football DRAFT WEEK! Matt discusses a few observations from some of the drafts and a few pointers on how to approach sleepers and late round picks. Also, the ZERO RB strategy is explored more in depth as Matt recalls his most recent draft in which he drafted two WR with his first two picks! All this and more in this exciting ... Más informaciones episode of the Dudes n Beer fantasy football podcast! Download the FREE Dudes n Beer Podcast app for Android and iDevices or visit our LISTEN LIVE page and join the conversation.